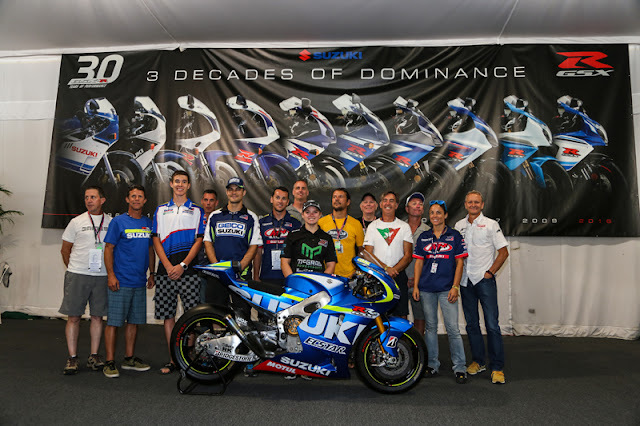 At Indianapolis Motor Speedway, one of the world’s most iconic racing venues, Suzuki Motor of America, Inc. honored the GSX-R, one of history’s most significant motorcycle models. In the company of a host of Suzuki Racing Champions, including Kevin Schwantz, Suzuki unveiled a pair of 2016 Commemorative Edition GSX-R1000s that honor 30 years of GSX-R dominance. 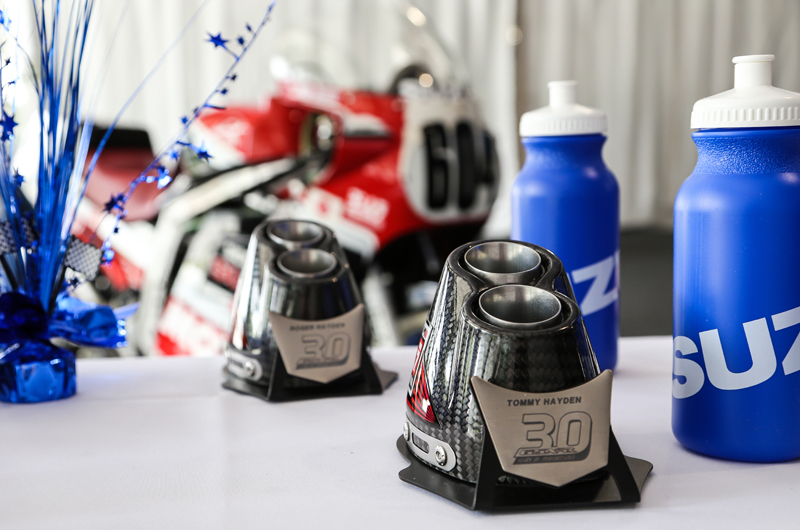 Host by Ralph Sheheen, the voice of motorcycle racing on Fox Sports, helped Suzuki honor a top-flight list of riders who have raced Suzuki GSX-Rs and won at the national and world level over the last 30 years. 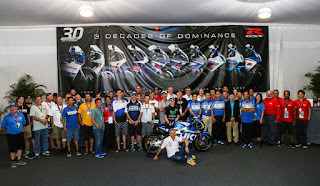 The guest list included Schwantz, Aleix Espargaro and Maverick Vinales of the Suzuki Ecstar MotoGP team, plus Chris Ulrich, John Ulrich, Aaron Yates, Don Emde, Elena Myers and many others. This special cadre of racers talked about the GSX-R’s racetrack dominance and its significance as a performance streetbike. Suzuki executives presented each racer with a special award to honor their influence on the continual evolution of the GSX-R. In 1986, Suzuki introduced a red-and-black GSX-R750 to pay homage to the race bikes piloted by the Yoshimura Suzuki riders who competed at the Suzuka 8 Hour endurance races in the 1980s. Kevin Schwantz, who went on to become the 1993 Grand Prix World Champion, raced a GSX-R750 in the same scheme during his 1986 AMA Superbike campaign. As a tribute to those motorcycles, Yoshimura Suzuki Factory Racing’s Roger Hayden rolled out his red-and-black 2016 Commemorative Edition GSX-R1000 race bike during the MotoAmerica AMA Superbike races August 8 and 9 at the Indy Motor Speedway. Hayden also sported red-and-black leathers in the same commemorative theme. 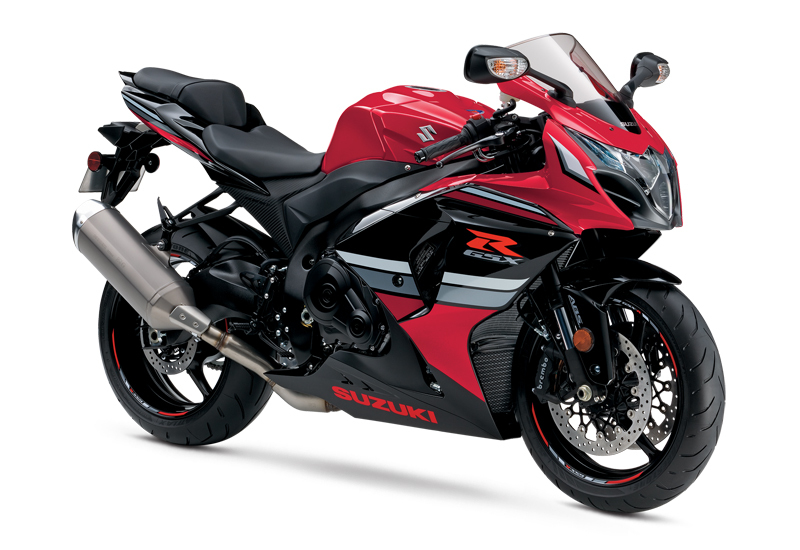 The 2016 Red-and-Black Commemorative Edition GSX-R1000 will join the new Blue-White Commemorative Edition GSX-R1000 that was recently unveiled by the Suzuki Ecstar MotoGP factory team. This three-tone blue and white version delivers the classic GSX-R racer-replica statement via a classic Suzuki racing heritage motif that includes the revered GSX-R logo. When released to the public, each Commemorative Edition GSX-R1000 will carry an exclusive “30 Years of Performance” badge atop its gas tank, plus special wheel striping to signify its limited production status. The enduring bodywork of both these Commemorative Edition GSX-Rs encases renowned GSX-R performance – it’s a unique and illustrious heritage that has scored national and world championships for riders from the Americas, Europe and Japan for 30 years.